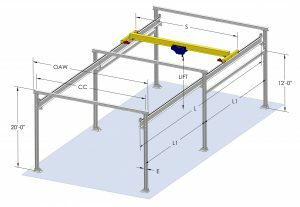 Free Standing Bridge Crane System - NOMAD® | EMH, Inc. 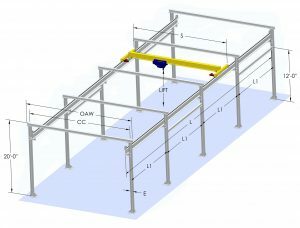 The NOMAD® Free Standing Crane System is a perfect solution for situations where overhead crane installation is otherwise difficult or impractical. 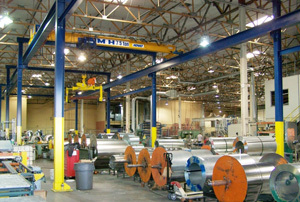 Because the runways are usually installed above the floor without footers, NOMAD® Cranes work well in pre-cast concrete buildings.Since all connections are bolted rather than welded, the NOMAD® is easily dismantled and moved to another location, an advantage when used in a leased building. 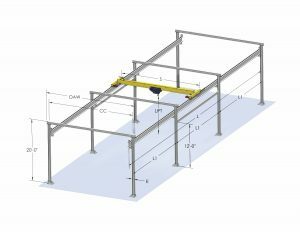 The NOMAD® free standing cranes low headroom design maximizes lift when headroom is at a premium. 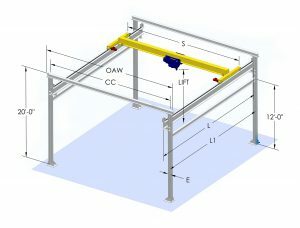 Modular NOMAD® Free Standing Bridge Crane Cells are available in runway lengths of 20, 25 and 30 feet. 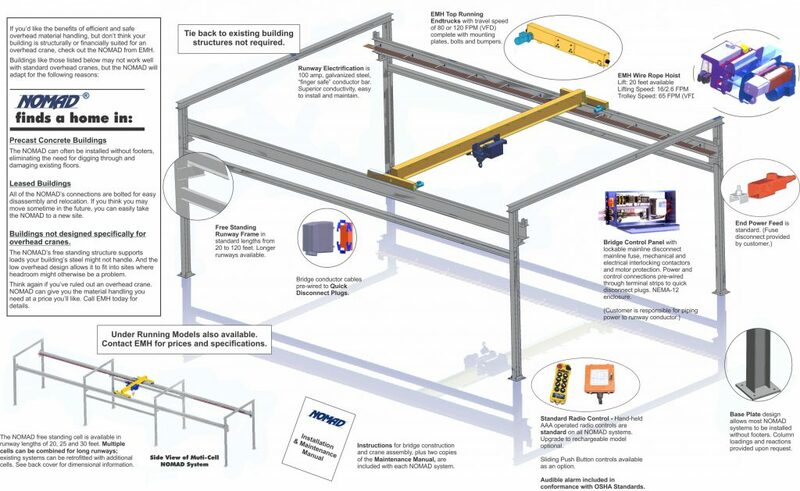 Multiple cells can be combined for long runways; existing systems can be retrofitted with additional cells.